The Whole 30 Diet is essentially a cross between an elimination diet and an extreme Paleo Diet. It was designed by Dallas and Melissa Hartwig to help users reset their whole bodies, both physical and mental. The Whole 30 Diet eliminates foods that cause our systems to operate at less than their full potential. This includes many foods that are perceived to be healthy. It is a short term challenge, a very strict program lasting 30 days. The diet is being used worldwide and has a large following of participants, from adults, to teens, to families with young children. The Hartwigs have identified a number of food groups which potentially affect almost every aspect of a person’s wellbeing. These include sugar or any of its extracts, alcohol, grains, legumes, dairy, carrageenan, MSG or sufides. A whole thirty days, yes, you read that correctly, a whole month of no bread, butter, breakfast cereal, beans, sandwiches or cheese. And those are just a few of the every day items you have to give up. One tiny little slip up, a tiny spoonful of cereal, a bite of birthday cake or even a single legume and you have to restart your thirty days again. While there are lots of things that are off limits, the things that you can eat while completing this challenge include real, preferably whole foods. Fresh seafood, lean meats, lots and lots of vegetables, nuts, seeds and some fruit are all on the menu. The emphasis is on eating clean and healthy with as little processing as possible. And while the extensive list of prohibited foods is, well… extensive, there are some exceptions to the rules. You can have clarified butter, salt, vinegar, and fruit juice as a sweetener. Green beans, snow peas and sugar snap peas, while technically a legume, are also allowed. The emphasis of this program is on health rather than weight loss, in fact, one of the program rules is that you do not weigh yourself while on it (although they do recommend you do a before and after weigh in). Testimonials of past participants report that the diet helped them to improve symptoms of numerous diseases including acne, migraines, PCOS, allergies, behaviour disorders, narcolepsy, diabetes, to name just a few. While the diet is quite restrictive, the developers of the Whole 30 diet have created a thriving community supporters and participants who share tips, ideas and recipes. Getting creative with a limited diet has become an art form and the Whole 30 diet has endless Pinterest, Twitter and Facebook posts to attest to that. Participants can also purchase an official Whole 30 recipe book. Choose a start date and write it down. Commit to it out loud, in your diary, on the family calendar or on social media. Do it with a friend, or better yet, a family member. It's easier to stick to a diet if you have someone to encourage you and to be accountable to. Plan, plan, plan! It's impossible to do this diet spontaneously. Shop to a pre-planned menu. Make sure you have the right ingredients for all your meals on hand so you aren't tempted to substitute. If you really must eat out, check the menu online and choose what you'll have before you get there. Make an extra portion every time you cook. That way you'll be able quickly access a meal that you know is on the diet. While it may be a more expensive option, a great way to make sure you don't slip up is to make it really easy for yourself. Although it will be more expensive, it's so much less labor intensive to have pre-cut vegetables, salad mix, chopped spinach and any other easy option. If it's easy, you're more likely to stick with it. In keeping with the easy option, make sure you always have something on hand in the fridge to snack on. A boiled egg, a tin of tuna, some chopped veg and a dip are all great options. Finally, keep it simple. Sticking to the diet is as simple as a piece of lean meat or boiled eggs, accompanied by some veggies or a salad. There are pros and cons to doing the Whole 30 Diet. 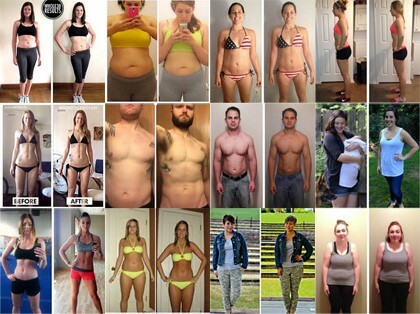 There have been absolutely incredible results from past participants reported, both to their health, and in regards to their weight loss. It’s easy to find lots of information and support from other participants freely available online. The program is very easy to understand with just one rule - don’t eat anything from the “don’t eat” list. It takes a lot of planning and preparation to get ready for the Whole 30 diet. It’s strict. While there is really only one rule, it’s a tough one. The developers of the diet have taken a very hard line, that there is no such thing as a slip up, and if you eat something that you shouldn’t it’s not a slip up, it was your choice. No excuses, no mistakes, just do it….and if you do slip up, you have to start your thirty days all over again. Forget about eating out, or with anyone who isn’t doing the diet too. If you have family, they’ll have to do it with you, if you go out, you’ll either have to get very creative with your ordering, or take a snack with you. From all accounts, most people put this in the too hard basket. For vegetarians, cutting out dairy and legumes, tofu, peas, peanuts and tempeh severely limits options for vegetarians. If they can successfully stick out the whole thirty days, vegetarians may suffer from a lack of balance of nutrition in their diet. The Whole 30 diet allows you to eliminate foods out of your diet that make you unwell, but more importantly to gain an understanding of how your own system interacts with those foods. It’s a challenge, but by sticking with the diet, and listening to your body, you will be able to develop your own personalised list of food (rather than a general, all-purpose diet created for the masses) that leads to your healthiest state. The Whole 30 diet can be a great way to start a healthier lifestyle if (and it’s a BIG “if”), you have the willpower, determination and strength to complete it.